Deogarh is a small farming village near the town of Lalitpur in Lalitpur district, in the state of Uttar Pradesh, India. Located at the border with the former princely state of Gwalior, which is now part of Madhya Pradesh, Deogarh is known for its Gupta monuments, located on or near the Betwa River. The name "Deogarh" derives from the Sanskrit deo, 'god', and garh, 'fort' -- 'fort of the Gods', or 'house of the Gods'. There are three ghats at Deogarh, along the edge of the Betwa River, which is a tributary of the Yamuna: the Nahar ghat, the Raj ghat and a ghat at the Siddiki Ghufa (saints cave), all of archeological significance. The Deogarh monuments are protected by the Department of Archaeology of the Archaeological Survey of India (ASI) and managed through its Northern Circle Office in Agra. 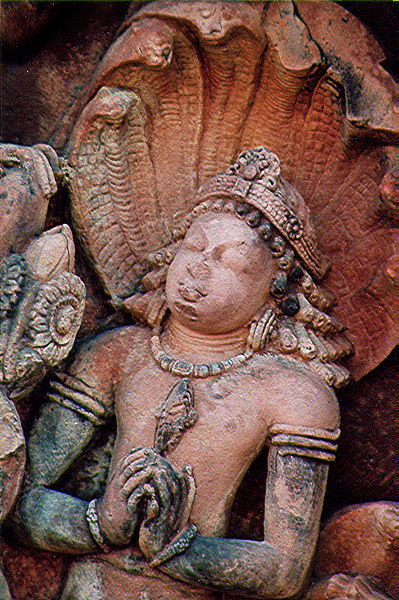 ASI maintain an archaeological museum at the Deogarh site, which is noted for its treasured archaeological sculptures. The earliest religious influence in the Deogarh area can be traced to the Gupta period (320-550), known as the "golden period" of Indian history. This was followed by the Jain period between the 8th and 17th centuries, where innumerable temples have been traced. Late Gupta period, 6th c.
Among the most illustrious tirthas is the Gupta temple dedicated to Lord Vishnu, popularly known as the Dashavatara Temple. 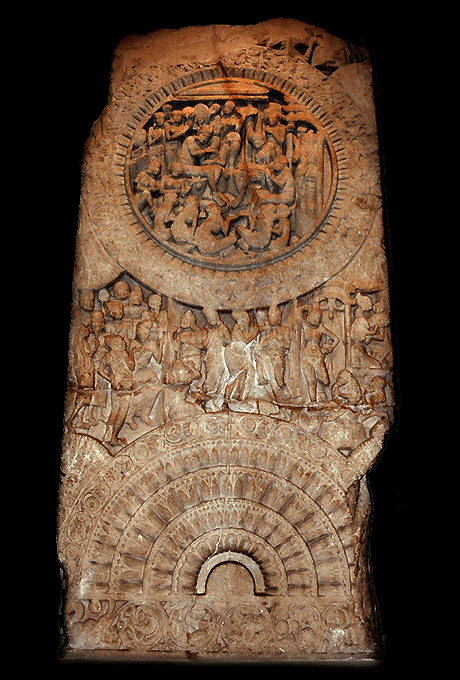 One of the earliest known Panchyatana temples in North India, it depicts the ten incarnations of Vishnu. 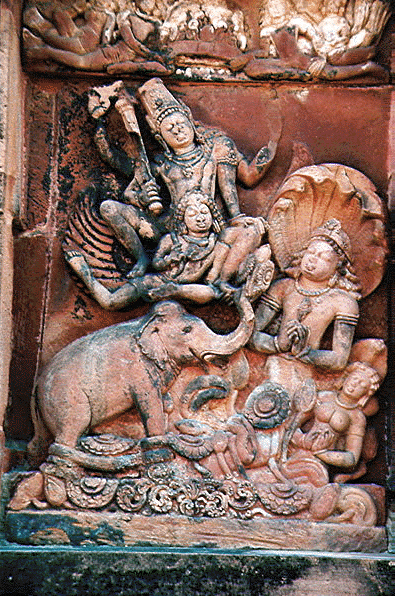 Special features of this ancient temple, which is now mostly in ruins, include carved figurines of the river goddesses Ganga and Yamuna on the doorway to the sanctum sanctorum, three large carved panels done in Vaishnava motif related to Gajendra Moksha, the Nar Narayan Tapasya, and Anantshayi Vishnu reclining on a serpent. The present village's history has not been examined at depth, even though many inscriptions have been located in the fort and the valley, relating to various stylistic and palaeographical denominations. Although the dynasties who ruled over the territory are known, who built what is not clear, except for the Jain temples, which were built by the merchant Jain community. More archaeological explorations would therefore be essential to establish the linkages of building activities with the dynasties who ruled over the territory, considering the enormous amount of Hindu and Jain temple remains and artifacts found here. In its earliest history, Deogarh was the center of a flourishing period in the arts, science and literature, and Brahminical culture. 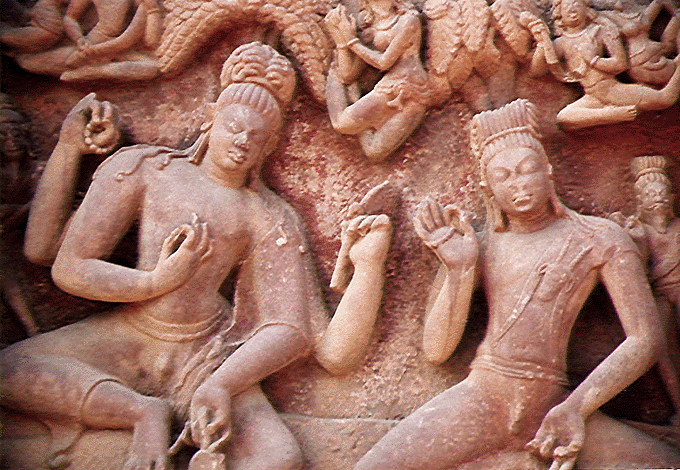 During this time, sculptural arts peaked as India entered the classical era of sculptural art. Deogarh monuments are categorized based on their location at valley and fort temples, which were generally built with sandstones of brick-red colour. 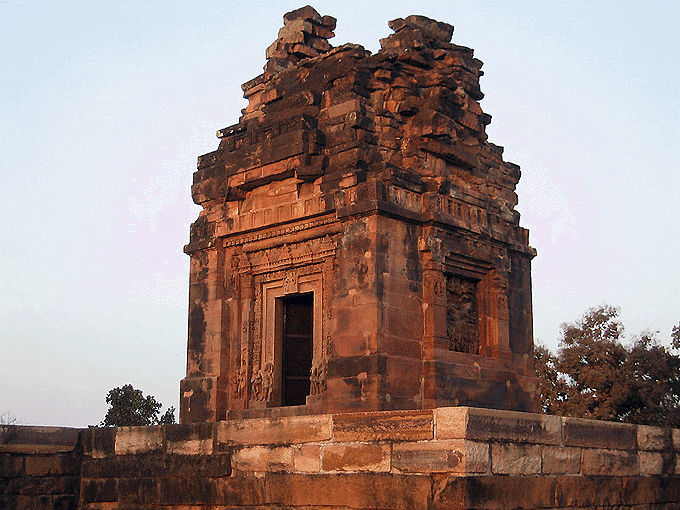 The Vaisnava temples from the Gupta period are primarily found in the valley, near Deogarh village. The Gupta temple dedicated to Lord Vishnu's ten primary incarnations -- the dasavatara -- is one of the earliest known North Indian temples to feature a shikhara or tower, although the shikhara here is curtailed and part of it has disappeared. The temple has a high plinth and is set with a basement porch. Despite the fact that the temple has fallen to ruin, the temple's magnificent sculpted panels remain as the objects of appreciation by pilgrims and tourists. A protective wall made of undressed stone was built around the temple, although the sanctum sanctorum itself is missing, believed to have been relocated elsewhere. On the terraced basement are carved figurines of Ganga Ma and Yamuna flanking the doorway to the sanctum sanctorum. On the side walls are the three large carved panels depicting Gajendra Moksha, Nara Narayana's austerities, and Lord Visnu on Sesanaga. 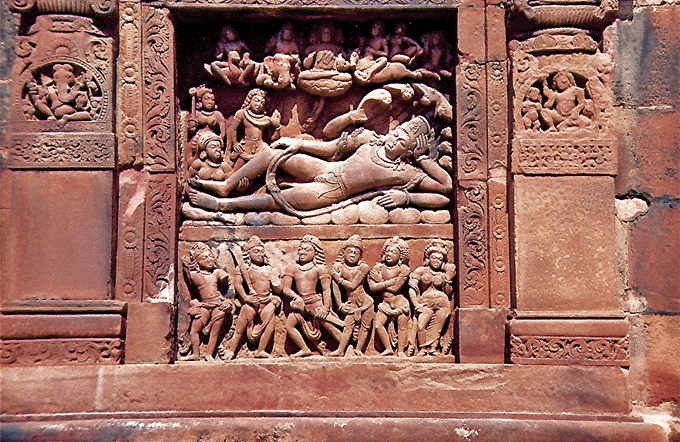 The four-armed Lord is depicted reclining on Shesha, whose seven hoods form a shade over His crowned head. Lakshmi and her two attendants, Bhu and Sri Devis, stand at Vishnu's feet, while the demigods and celestials look on. 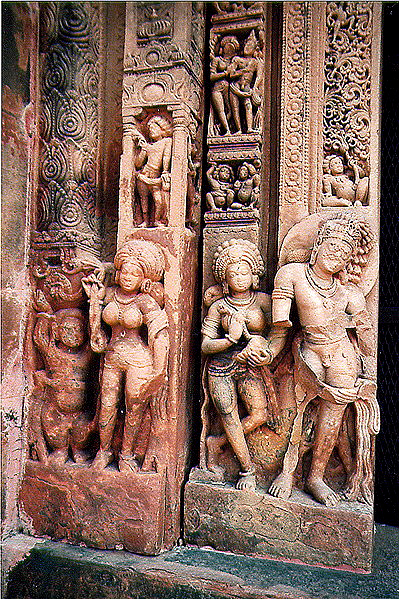 The image depicted in the panel below Anantasesa Vishnu most likely depicts the Pandavas and Draupadi. The ancient treatise, Vishnudharmottara Purana describes several temples including a Sarvatobhadra temple, which has been compared by archaeologists and Indologists with the Dashavatara Temple at Deogarh. A comparative study revealed that the ideal temple design described in the treatise as Sarvatobhadra temple is the same as the Vishnu temple of Deogarh. This conclusion was based on plan, size, iconography and several other norms described for building Vaisnava temples. Based on this comparison, structural details of the Deogarh temple no longer intact have been inferred, and drawings of the assumed complete temple structure have been done. The probable date of the temple's construction is estimated to be somewhere between 450 and 650 a.D. During this period, the temple was highly venerated. The temple faces west, with slight deviation to the south that enables the setting sun's rays to fall on the presiding Deity of the temple. The plinth measures 55.5 feet (16.9 m), about 9 feet (2.7 m) above the bottom step (called the moon stone) of the shrine. In the nine square layout, the Vishnu temple is in the middle square. Four stairways outside the platform provide access to the temple. However, as per excavation details, combined with the two small shrines with the central shrine seen now, the layout of the temple has been interpreted to represent a typical Panchayatana style of the temples of North India. The total height of the shrine based on isometric projections is about 45 feet (14 m). Provision of porches has not been corroborated, but some analogous comparisons with the Varaha temple in the fort precincts, which belonged to the same period, suggest the existence of porticoes even in the Vishnu temple. In its day, this building was unquestionably one of rare merit in the correct ordering of its parts, all alike serving the purpose of practical utility, imbued with supreme artistic feeling, bhakti. Few monuments demonstrate such a high level of workmanship, combined with a ripeness and rich refinement in sculptural effect as this Gupta temple at Deogarh. Perhaps the finest sculpture of all found at this Vishnu temple depicts the birth of Sri Krishna, as Devaki hands over her newborn son to husband Vasudeva. This sculpture is said to be one of the best depictions of Gupta period art, based on the graceful modelling of the figurines, whose clothes are shown draped in an exclusive fashion. It is now housed at the National Museum in New Delhi.